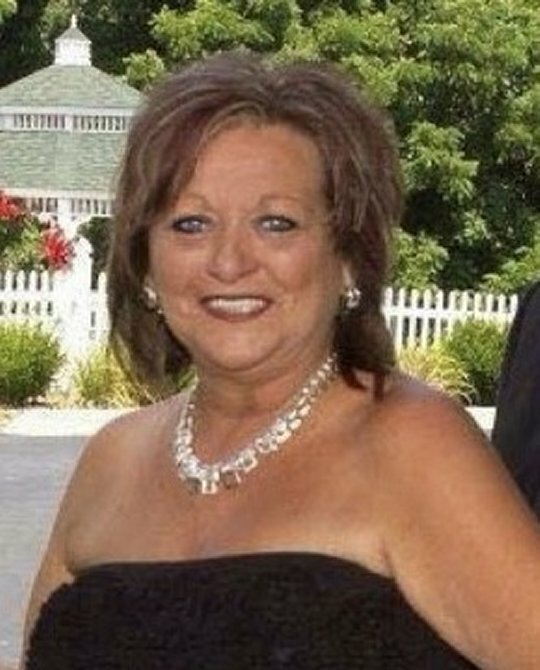 Gwendolyn Diane Davidson, age 57, of Thousandsticks, Kentucky, passed from this life on Monday, September 24, 2018 at her home. She was born on November 15, 1960 in Cincinnati, Ohio, daughter of the late Vertress Tarter and Leona Wilson Boyer. Gwen was a floral designer for Mt. Florist in Wooten, Kentucky and attended Davidson Fork Pentecostal Church. She loved to sing karaoke and enjoyed decorating, fashion, shopping, floral designing and ATV riding. She was a member of the Pulaski County High School Class of 1978, a KY Colonel and a former member of the Ladies Auxiliary AMVETS #125. She was preceded in death by her parents, a son, Gregory Wayne Roy Jr., her stepfather, Harold Dean Boyer, and brother-in-law, Bill Wesley. She is survived by her husband, Therman Davidson; daughters, Yvonne Nicole Ryan of Thousandsticks, Ashley Whittle (and Chris) of Somerset and Amber Roy of Thousandsticks; sons, Blake Davidson (and Christina) of Thousandsticks and Brett Davidson (and Britnie) of Lexington; brothers, Rick Boyer (and Tamara) of Bronston and Christopher Boyer (and Rita) of Somerset; sisters, Cathy Wesley (and Jim Todd) of Somerset and Brenda Miller (and Danny) of Somerset; grandchildren and like a son Isaiah, Destiny, Cedric, Hailey, Cody, Madison, Naveh, Elijah, Emery, Kayla and Brody; nieces, Heather, Jessica, Rachel and Brandy, cousins, aunts and uncles. Visitation will be at 5:00 p.m. on Friday, September 28, 2018 in the Chapel of Southern Oaks Funeral Home. Funeral Service will be at 2:00 p.m. on Saturday, September 29, 2018 in the Chapel of Southern Oaks Funeral Home with Bro. Steve Mullins and Bro. Curt Davidson officiating. Burial will be in Southern Oaks Cemetery. Pallbearers will be Dan Miller, Brett Davidson, Chris Whittle, Nick Hibbard, Tanner McKee and William Davidson. In lieu of flowers contributions can be made to the American Cancer Society or the Lexington Hope Lodge. Southern Oaks Funeral Home is entrusted with the arrangements for Gwendolyn Diane Davidson. Cathy, My condolences on your loss. May your heart find solace in your memories.